Accurate data are the foundation of effective marketing, and it is particularly important (and challenging) to maintain accurate contact information. This article summarizes some highly effective but little know methods for finding email addresses. I use these methods in my commercial real estate brokerage business (for more on my services, click here), but they are equally effective in other industries. Most professionals use Linkedin, but few realize the network’s true potential. 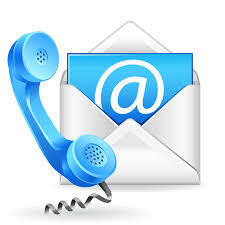 Two important features relating to contact information are often neglected. First, Linkedin provides the email address of all of first degree connections (on default settings). Users often don’t know that they have these emails. Second, Linkedin users can send unlimited direct messages through Linkedin to all other users who are members of a shared Linkedin group (on default settings). So if both you and your prospective client are both in the same Linked Group, you can probably send him a message even if you are not connected to him on Linkedin. This message will not count as or appear as an “InMail” – it will appear in the Linkedin inbox and will be forwarded to the user’s email. Most emails are a Google search away if the search is done properly. Three out of four emails can be found by entering [first name] [last name] @companywebsite.com into the Google search box. For example, my name is Troy Golden and I work for Golden Group Real Estate. The website of Golden Group Real Estate is www.goldengroupcre.com. Google search Troy Golden @goldengroupcre.com and my email address, troy@goldengroupcre.com, appears on the first page of search results. Many companies follow a pattern when assigning emails to their employees. Looking at my email (troy@goldengroupcre.com), it’s a good guess that most brokers at my firm have emails that follow the same pattern of [first name]@goldengroupcre.com. It’s usually easy to find the name and email of a sales or receptionist person. Find the name of the proper contact and apply the email pattern to his name. If the receptionist is Jane Doe at jane.doe@acme.com, try emailing the decision maker John Doe at john.doe@acme.com. For more on marketing, read my articles 5 Golden Rules for Effective Email Marketing and Robust & Accurate Data are Essential for Effective Marketing. For information about planning an office relocation, click here or call me at (630) 805.2463. Great info. I’m job searching so this may be good to research hiring managers. Great information and tips Troy. I have successfully used a few of these and they work.